Today in route to work, I cracked open her outfit and in typical alpha male mode, I didn’t read the instructions. No foreplay, I just jumped right to it. The reviews were right. This case is real bulky. I like Isabella’s case better, but it’s not that serious. I spent the rest of the day reloading software I had previously installed. Good thing is GooglePlay makes it a snap, but I should have backed up. I haven’t quite figured out this SprintID, nor the Titanium Backup I installed a while back. In any case, I should know better. 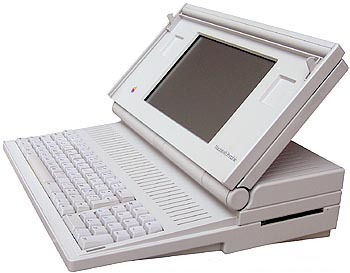 My first year in college I had a Macintosh Portable. Yes this was the dial-up, kish, kish, modem screeching era; back when people actually liked AOL. I recall I wrote a last minute 8 page paper. Doesn’t seem like much now, but at that time in life, and with a deadline approaching, it was epic. So I ended up getting in a grove and the dumb Apple locked up on me and deleted all my data. And yes, I didn’t save anything. I immediately saw red and I ended up throwing a Mike Tyson right hook to ensure it would never lose, nor save, nor operate ever again. This loss was not as bad as I didn’t customize her that much. Further, with Google integration, unlike Apple, all my contacts are synced. Big plus for Android!! Yeah, I don’t really have an answer for it other than in typical guy fashion…we do it because we can. I’m sure with this extended weekend, I’ll have more time to discern Andrea is capable of.